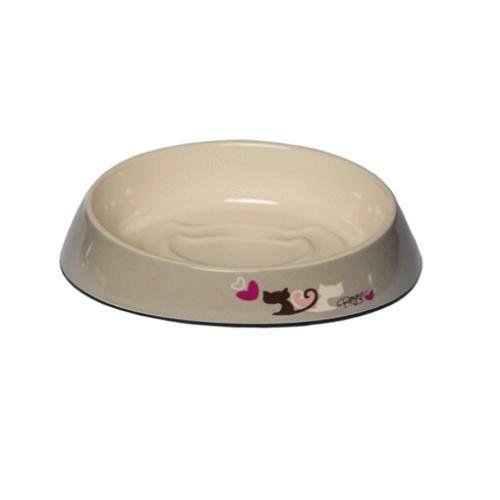 The Rogz Cat Bowl is a slick strong friendly whisker bowl with anti-slip food ridges to make dinner times better and easier for you and your cat. Less mess for you to clean up! The bowl is a shallow wide design that accommodates long and short whiskers, easy to clean and is 100% non-harmful or toxic and be can be used in the dishwasher. Available in grey with a the sweet elegant design on the front.